Love is not having to hold back . . . but will she ever truly let him in? Avantika is an investment banker, an ambitious go-getter and the exact opposite of Deb-a corporate professional turned failed writer, turned scripter of saas-bahu serials. They've been together for ten years, surviving everything from college to rave parties to annoying best friends, including Shrey, who has no respect for personal boundaries, and Vernita and Tanmay-the annoying yet enviable 'it' couple who seem to have it all. Now Avantika wants to take the next step. But will Deb be able to catch up? Or will it rip them apart? No matter how hard he tries, Deb can't convince Avantika that he's the one for her. Not as long as she is broken and her past looms in the background-pushing her, troubling her, goading her to question if their love is enough. Will Deb be able to find their perfect place? 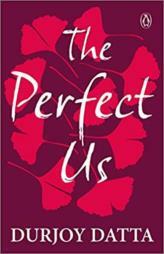 The Perfect Us is love's struggle to find a happily ever after. . .